Have an idea who he is? Yes! He's the actor playing the role of Blaine on a US musical TV series where my younger brother addicted at watching and downloads each episode. LOL. 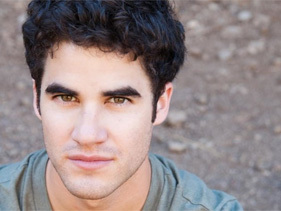 I'm certainly not a glee fan but I swear Blaine's so cute but disappointingly a gay role. I don't have so much to say. He just caught my attention when my brother watches a particular episode where he sings Katy Perry's Teenage Dream. Oozing! lol.